Opening in 1968, Sherborne Museum evolved from the town's Historical Society, which was its founding body. 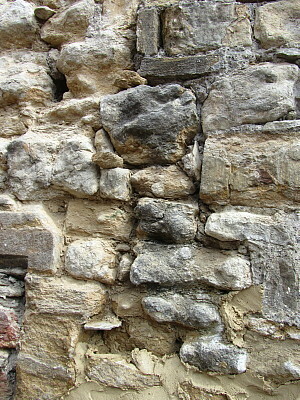 From the outset, it aimed to be an independent museum representing the history and life of Sherborne and its environs. 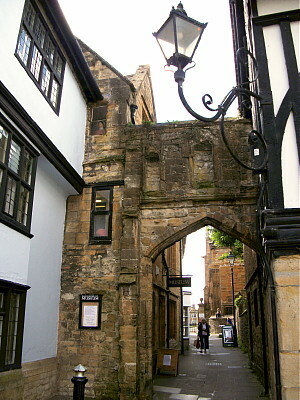 Its principal benefactor was Frederick Marsden who purchased the Abbey Gatehouse and presented it to the Association, together with an Honorarium Fund. There were few artefacts at the beginning, so founder members of the Association James Gibb and Ruth Gervis created a range of displays and models several of which we still exhibit. Artefacts continued to be donated by local people and in time the Museum started to run out of space. Then, in 1994 we had the opportunity to purchase the adjoining shoe shop thanks to support from the Heritage Lottery Fund and West Dorset District Council. It transpired that this property was originally the Almonry of the Monastery and increased our display area by 60%, although we still lacked storage and workroom space. In 2007, the Somerset and Dorset Family History Society moved into what had been the Conservative Club next door and they agreed to sub-let to us what had been the Old Billiard Room. This provided us with a significantly larger area in which to work on conservation and store our reserve collections. These three major steps aided the development of our town Museum which continues to serve the community of Sherborne and its outlying villages. A standard from the Code of Ethics for Museums requires that we fulfil all our guardianship responsibilities in respect not only of the collections, but also of all other resources including our premises, which explicitly or morally, we hold in trust for the benefit of the public. 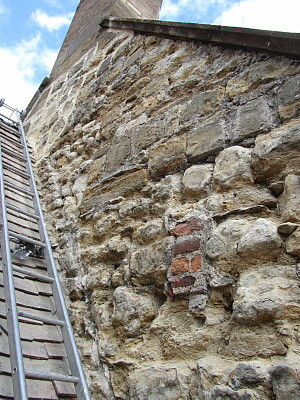 Hence we take repairs to the outside of our Grade II listed building very seriously! In 2014 we were faced with crumbling of the South West corner of the building, deteriorating stonework and grouting and repairs to the flat roof and much of the lead flashing. Fortunately in the past we had built up specific building reserves with which to fund this kind of project. We also launched an appeal to the public for financial assistance, which met a generous response. We employed a building team with proven expertise with repairs to old stonework, such as that of the Conduit and at Rimpton Church, as we were concerned to maintain the highest possible standards. This work is now complete and we look forward to preserving our building and its collections for the benefit of future generations.